This website is about transforming trauma into spiritual awakening. It is my gift of love & support for all those who are faced with the sometimes tumultuous process of personal transformation. It's also my thanks to all of the amazing people who helped me on my path of healing, for I know that the best way to thank them is to share what they shared with me. Everything on BEA is a result of my own personal path of transformation, including my formal training, my own experiences & my spiritual journey & I have endeavored to share it from a personal rather than clinical point of view. How do you turn a Nervous Breakdown into a Conscious Breakthrough? Have you reached a point in your life where the ways you have used to be in the world simply aren't working anymore? Have you read self-help books & analyzed your life trying to understand what could have created the pain, unhappiness, or loneliness that you are experiencing? Has a good night's sleep become a thing of the past or are inexplicable fears & anxiety wearing your nerves raw. Or maybe depression & hopelessness have descended upon you and you just can't shake them. Any and all of these signs and symptoms can be pointing to what is commonly called a "nervous breakdown". But what is a nervous breakdown anyway? And what can possibly be done to turn it into a conscious breakthrough to a new way of living that feels more naturally aligned with who you really are? Well, that is precisely what this whole website explores. On these pages you will find articles, information, tips & tools designed to help you understand more about how your nervous system acts as a conduit for your body, mind & soul during the process of transformation & awakening. Transformation: Articles & tips about what transformation is & how a change in perspective can help shift from breakdown to breakthrough. Anxiety, Trauma & PTSD: What is trauma & PTSD & how do they relate to transformation? 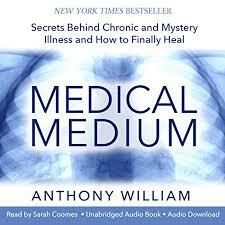 Articles & information helping you understand more about the role of your nervous system & how it can help you heal. You will also find articles with links to various treatment methods. Anxiety Self-Help: shares simple exercises you can do yourself to begin to release some of the tension & energy our bodies hold from stress, trauma & PTSD. These can offer some immediate relief for those suffering from panic & anxiety, however, they are far more beneficial if used in combination with expert guidance as you access & re-pattern the old experiences & beliefs that created the inner conflict. Spiritual Emergence & Conscious Awakening: What is spiritual emergence & how do we consciously awaken the body+mind+spirit? Does it have to be sudden & dramatic like a kundalini awakening or can it be more subtle?